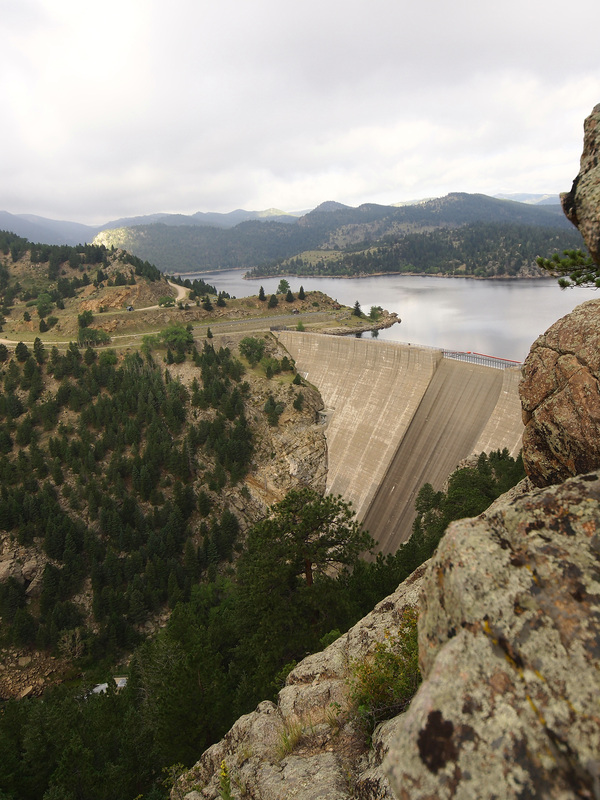 Named for Denver Water former Chief Engineer Dwight D. Gross, the reservoir was completed in 1954. It serves as a combination storage and regulating facility for water that flows under the Continental Divide through the Moffat Tunnel. Standing 340 feet above the South Boulder Creek streambed, Gross Dam contains some 627,559 cubic yards of concrete. 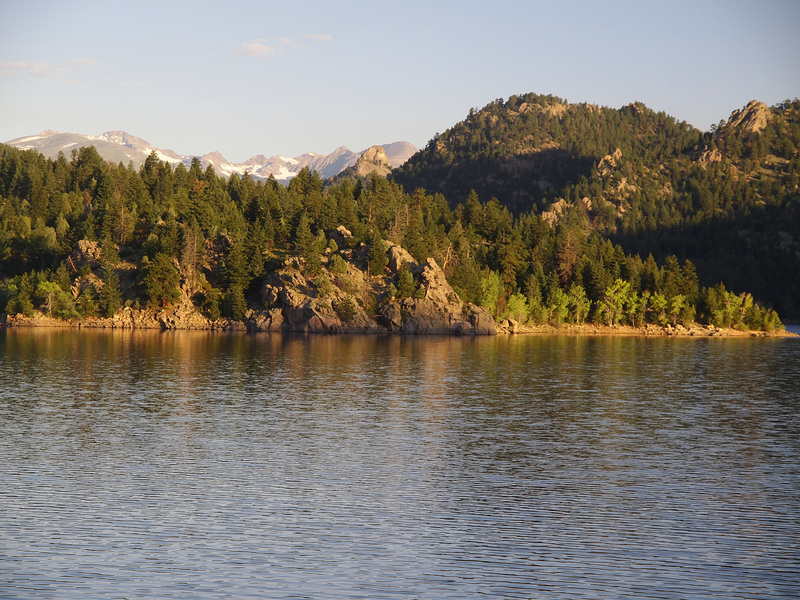 Fishing: Cold water, stocked by Colorado Parks and Wildlife. Ice fishing when conditions permit. Boating: Car-top non-motorized boating only, allowed on the Friday of Memorial Day weekend through Sept. 30. Kayak access to the river below the reservoir is available at the parking area below the dam. Hiking: North Shore picnic area (trailhead to Rocky Point), South Side Dam, Miramonte picnic area and Osprey Point (trailhead), to South Boulder Creek inlet. Camping: Limited access; high clearance vehicles required. West side managed by Roosevelt National Forest. Area has seasonal closure; check with Boulder District. Picnicking: The east side developed areas are for day use only. Sheltered tables available. Take Highway 93 north from Golden to Highway 72. Turn left (west) on Highway 72 toward Pinecliffe to County Road 77/Gross Dam Road. Gross Dam Road will take you to both the north and south access points. Take Flagstaff Road west until it turns into eastern Gross Dam Road. These rules and regulations are in addition to, and do not supersede, any otherwise applicable county, state and federal laws. For more information call 303-634-3641. Public use permitted only from sunrise to sunset. 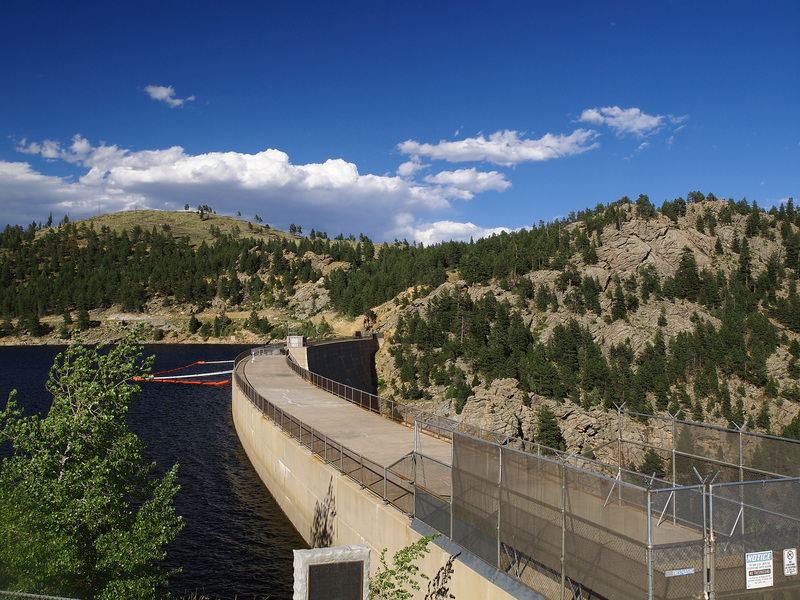 Gate on south dam road subject to being opened and closed by Denver Water staff. No body contact with water is permitted: swimming, wading and diving are prohibited. Parking is permitted only in designated parking lots or defined spaces. Vehicles may not be left parked and unattended at any time from sunset to sunrise, even in designated areas. All users yield to equestrians, bicyclists yield to pedestrians, and bicyclists headed downhill yield to bicyclists headed uphill. Yielding the right-of-way requires slowing down to a safe speed, being prepared to stop, communicating and passing safely. Domestic animals shall be kept on leash or lead and under human physical control at all times. Pet waste shall be removed immediately. Pets are not permitted to enter the water. Prohibited: Firearms, fireworks or any projectile weapons of any kind. Trespassing is prohibited on dam structure or within any fenced area, facility or areas posted with closure or danger signs. Motor vehicles — including cars, trucks, motorcycles, minibikes, snowmobiles, four-wheel drive or other recreational vehicles — may not be operated unless the area is specifically designated and posted to permit the operation of such vehicle in the area. Prohibited: Glass bottles or containers, except within an enclosed vehicle; depositing litter or waste in any place other than waste receptacles. No household waste, hazardous materials or materials not from the reservoir site may be placed in any Denver Water waste receptacle. Boating is allowed on the Friday of Memorial Day weekend through Sept. 30. Boating during posted emergency closures is prohibited. All boats are subject to U.S. Coast Guard and CPW safety standards and will be subject to safety inspections. Non-motorized car top boats only are permitted on reservoir (car top boats are those that can be lifted onto and taken from the top of a passenger vehicle and are no more than 18 feet in length). Prohibited: Trailer-hitched boats, motorized boats (gas or electric), sailboats and belly boats; boat launching; single-chambered flotation devices, including inflatable rafts, inner tubes and inflatable mattresses. Overnight camping on Denver Water property is prohibited. Ground or open fires of any type are prohibited. Fires of any kind are only permitted in grills and fire grates provided at designated sites. All fires are subject to county bans. 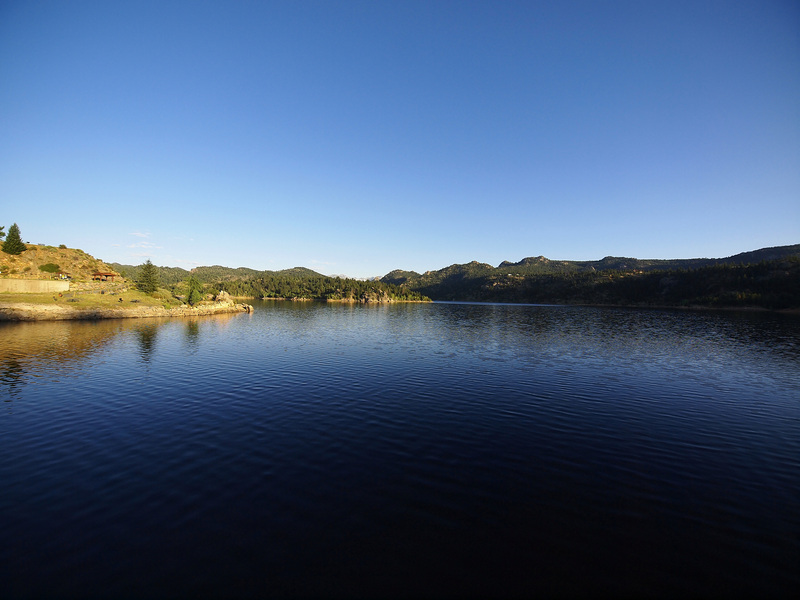 Fishing is subject to all state regulations enforced by Colorado Parks and Wildlife statutes. The reservoir will be open to monitoring and enforcement by CPW. Snagging kokanee permitted Sept. 1 to Jan. 31 only. Ice fishing allowed only when conditions permit. Denver Water does not monitor ice conditions, therefore it is important to be aware of changing ice conditions. Proceed at your own risk. Only portable ice fishing shelters are permitted and must be removed from surface of lake when not in use. Denver Water (owner, operator, east side recreation manager): 303-634-3641 or Customer Care Contact Form.